Are you experiencing skin conditions such as uneven skin tone and texture, fine lines, wrinkles and larger pores? As we age, our skin cell turnover rate slows down and this leads to a buildup of dull, devitalized, dead surface cells leading skin’s aging. The treatment: Once a week for six weeks, we work on deep exfoliation of your skin while stimulating the cellular turnover as well as the collagen/elastin synthesis. We are able to use a very effective, noninflammatory exfoliation method. We then follow the exfoliation with a collagen inducing technique to stimulate the skin’s basal layer. The more the basal layer becomes fatigued, the more collagen and elastin are sythesized. Following the collagen induction therapy, we do microcurrent to increase blood flow and oxygen levels in the skin which will then enhance the delivery of pure active ingredient ampoules to the skin’s deepest layers with no irritation or downtime. Collagen induction therapy helps to increase volume, reduce fine lines/wrinkles and improves acne scarring. First developed by NASA, LED works by sending energy-producing packets of light into the deeper skin layers. NASA and the U.S. Navy Seals use LED light therapy for muscle regeneration to speed up wound healing. Now this technology is available as a painless, effective, anti-aging treatment. Experience one of our most sought after treatments to rejuvenate and renew your face. You’ll receive three levels of exfoliation, while using our microcurrent technique to lift and tone your face revealing a youthful glow. 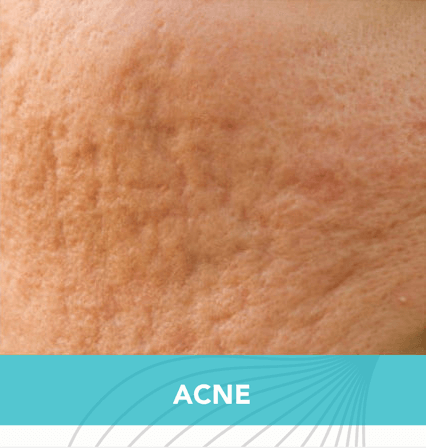 Reduce the appearance of acne scars, enlarged pores, and the depth of lines and wrinkles. Our secret formulas will be sure to leave your skin feeling and looking velvety smooth.